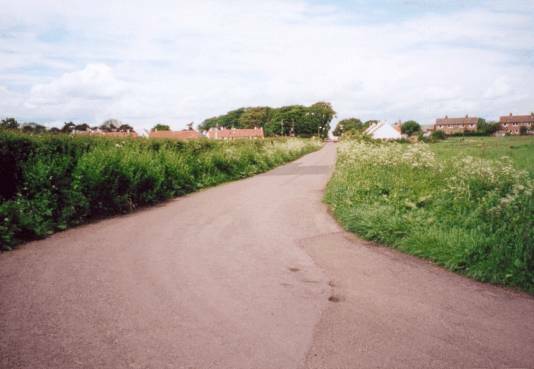 The formation of the Aberlady Conservation Society ( ACS ) and its concerted opposition to the School Field development lies in what many villagers saw as inactivity - on this matter - on the part of local representatives including the local Councillor, and the reluctance on the part of East Lothian Council to oppose large scale housing developments regardless of the effect on the local Community. Thus on 29th November 2001 concerned villagers gathered in the local hall and formed the first ACS Committee. For years rumours had circulated in the village that the field would be built on - it had been zoned for housing - but as it was prone to flooding, in particular the Eastern end, nobody ever thought that it would happen. Hence the surprise, indeed shock, when plans were put forward by Cala Homes to develop the site. At this stage you may be asking; why did the Community Council or the local Councillor not alert the locals to this threat much sooner? The latter,s reasons would become clearer later on. 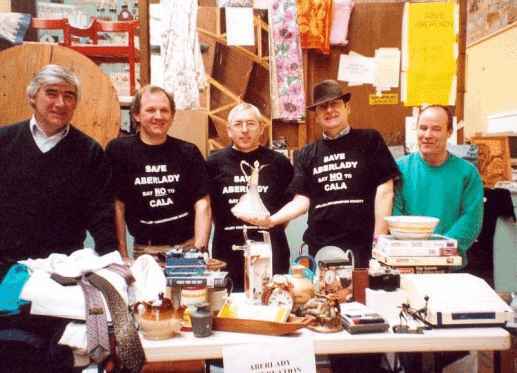 The first many people knew of Cala's plans was at a meeting which was held in the village in July 2001, where representatives from the builders were present . It was from the exchanges at this meeting that the embryo of opposition would grow. Another meeting ( called by the Community Council ), this time held in the local village hall, and attended by around 200 people, heard a representative give the views of East Lothian Council. At the question and answer session which followed the villagers left no-one in any doubt that they were opposed to the development. It was the negative, some would say patronising attitude by the 'man from the Council' which galvanised concerned locals to get together to form the ACS. Since then the Society has fought the development on numerous grounds - the number of houses, traffic ( the safety of drivers and pedestrians ), type of materials used, etc. Numerous meetings have been held with - and help recieved from - MPs, MSPs, Professional bodies from various fields, Heritage bodies, etc.,etc. What you might ask were the local representatives doing while this was going on? Well, to be fair the community Council woke up to the fact that there was overwhelming opposition to the development and were more proactive, but the others, MP Anne Picking, MSP John Home Robertson and local Councillor Gilbert Meikle gave the Society no help or encouragement whatsoever. 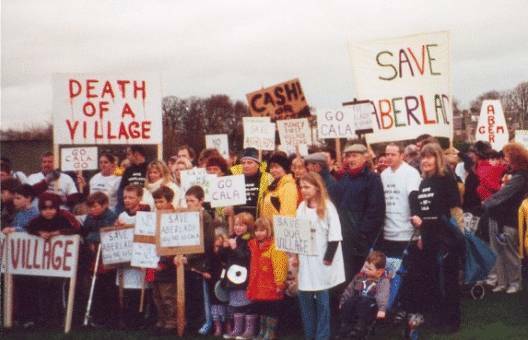 In fact at a meeting on 1st February 2002 Councillor Meikle- along with every other Councillor ( but one ) present - failed to oppose the development. The exception was David Berry who did oppose it. Post 2006 note - The irony of this situation is that at the 2006 local elections the Labour party lost control of East Lothian Council to a SNP/LibDem coalition, and David Berry is now Leader of the council. When this was written the Society was trying to persuade East Lothian Council to implement a 'Green Belt' around the village to save it from further development. 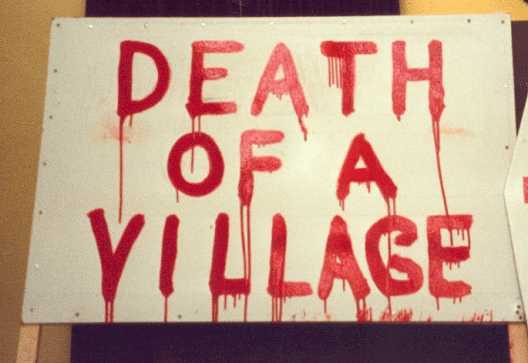 But is the damage to the village already done?